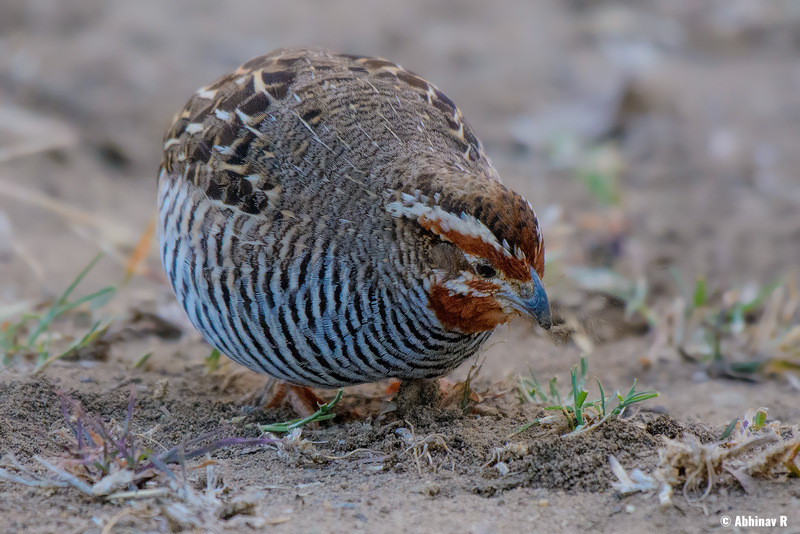 Jungle Bush Quail is a small bird which prefers mainly forest habitats. It belongs to the Phasianidae family and is found across the Indian subcontinent. 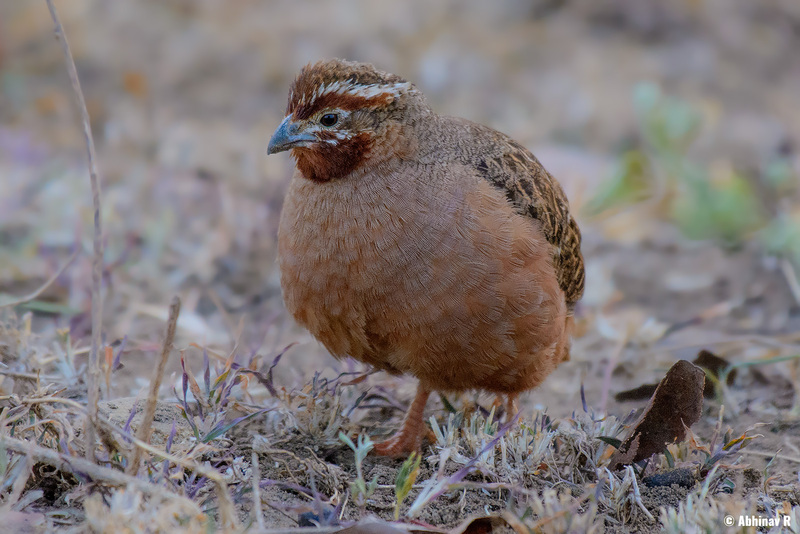 The male Jungle Bush Quail. Both the above photos are from Masinagudi near Mudumalai National Park in Tamil Nadu. It was the first day morning of our two day wildlife trip at Masinagudi. The time was half past six. We were on a jeep and just after 1-2 kilometers from the starting point, we spotted this group of Jungle Bush Quails on the ground by the right side of the road. They were not bothered with our presence. There was no permission to get outside the safari vehicle. So I took the pictures from the jeep itself. Because the light was not bright and the birds were constantly moving, I had to use an ISO of 2000. But selective noise reduction helped to get rid of the excess noise. Appearance: The plumage is barred. The male has black and white bars on chest and belly region. The chin and eye-stripes have chestnut color. There is a white supercilium. The female has light chestnut colored underparts with no bars. Habitat and Distribution: Wide range of distribution across India. Prefers edges of forests. Feed on grass and insects.